When Google acquired Motorola for $ 12.5 Billion 19 months ago, many saw it as an aggressive move on behalf of Google while many saw it as a reckless move. As times progressed, things changed and Google didn’t really go all guns blazing in the handset business as it would have not been received well by its partners. Google has now sold off the handset business of Motorola to Lenovo for $ 2.91 Billion which comes across as a bargain for Lenovo and the same can’t be said for Google which seems to have taken a loss with it but won’t accept the same. 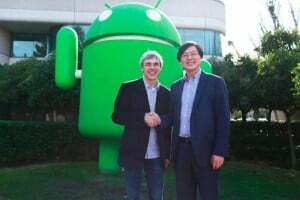 As a part of the deal, Lenovo will be paying Google $1.41 Billion at the time of signing the deal. Out of these, $660 million will be paid in cash while $750 million will be paid in the form of Lenovo shares. The $1.5 billion that remain will be paid by Lenovo by a 3 year promissory note. Once Chinese and US authorities approve the deal, both the companies can get back to business. Now let us see what is there in the deal for everybody. When Google acquired Motorola, it was looking towards a brighter future courtesy the patents it had in bag and it would help its partners with the law suits against them. But later in the day, it realised that the whole gamut of patents Motorola had turned out be worth way less than it had hoped to be. On top of it, it could not really give Motorola’s handset business a boost because that would have created a lot of problems to its handset partners because then Motorola would have had an unfair advantage over the rest. So Google went pretty slow with launching Motorola devices and they could not revive the brand to an extent it once was. Amidst all this, Motorola has something good to look forward to. Seeing the fact that Google doesn’t own it any more, it can actually look to take advantage of Lenovo’s distribution network. But Motorola will lose out on the benefits it once enjoyed while being owned by Google such as getting regular updates. The Research and Development department is still with Google and it will continue to work in the field of wearable technology and other related technologies. The winner of this deal is Lenovo which has got itself an amazing prospective handset business at a price it would love. Lenovo has got itself about 2,000 patents with the deal which will surely help it in future. Lenovo is amongst the top 5 smartphone vendors globally and acquisition of Motorola will surely give it the benefit of entering the smartphone arena with a lot more aggression. And as far as the regular consumer is concerned, you’ll still be able to buy Motorola devices in future and Lenovo’s distribution and after sales network is wide enough for a good after sales support too. Do let us know in case you have any more questions regarding the same or if you’ve got to say something about it. 1) Moto X too was to be released post Moto G’s release as per news. Wonder what the fate of X is for Indian market. 2) How efficient and effective is Lenovo in delivering AFTER-SALES service?